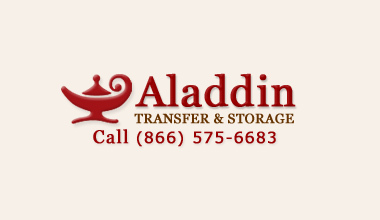 Aladdin Transfer & Storage has been a family-owned and operated business in the North Bay since 1984. We have a 10,000 sq. ft. storage facility located in beautiful Santa Rosa, California. We have been in business for nearly 30 years and are known in the community and among the industry as being among the best of the best. We strive every day, in every way to be sure we provide the highest level of service. We’re committed to customer satisfaction and we treat every customer honestly, fairly and professionally. We have experienced moving consultants and highly competent and skilled full time movers and packers. All members of our team strive everyday in every way to ensure customer satisfaction. Aladdin Transfer is a proud member of the California Moving and Storage Association (CMSA) and has an A+ rating with the Better Business Bureau. Our warehouse also serves as an Ecollective drop off site. The Ecollective program enables the safe and easy recycling of your unwanted and obsolete electronics, making doing the right thing easier so we can help manage this growing challenge together. Proceeds from our e-waste recycling go to the California Moving and Storage Association Scholarship Fund. To help us achieve our goal of providing you with the best possible moving experience, we have partnered with Wheaton World Wide Moving. For over half a century, Wheaton has earned the reputation of being one of the worlds finest and most professional relocation companies. Our integrity in the industry and with our customers is without question. When it comes to residential movers in the Bay Area, you can’t do better than the expert team at Aladdin Transfer & Storage. Whether you are moving across town or around the world, we are the Bay Area household movers you can count on. Our goal is to simplify the process of relocating your home and your life to make your move a worry and stress free experience.